I wonder why it did not occur to the author of this Glencoe News article that they should maybe use a current photo of my house, not a two-year-old pre-restoration photo? Probably just to damned easy to pull an old one out of the file. It would take actual effort to drive there and take a new one. Photos ? I see no visuals associated with the linked article. The waiting station for the North Shore intrigues me. I had not heard of that structure before. Does anyone have any pictures of it? thanks for the link - it's fascinating, even if its cantilevered roof is pretty short! 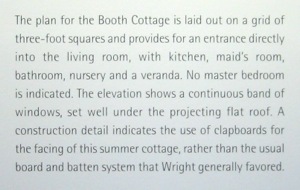 Or -- maybe it's just the Gale residence, reduced in size and scope for the task at hand ? What year was this shelter built ? says 1915. The two-board roof fascia, brick construction, and elongated rectangular form all speak to the Usonian model. But other elements and details reflect the earlier date of this structure: a masonry base (albeit minimal compared to Prairie precedent) and the symmetrical side entry with its paired windows. By the Usonian period Wright had learned how to avoid the prosaic form of the entry at the end of the building . . .
Not far from the station is the Sherman Booth Cottage (S.178) which the Booth family lived in while their residence was being built. This is truly the Usonian prototype. stairs on plan led to a tower room ? 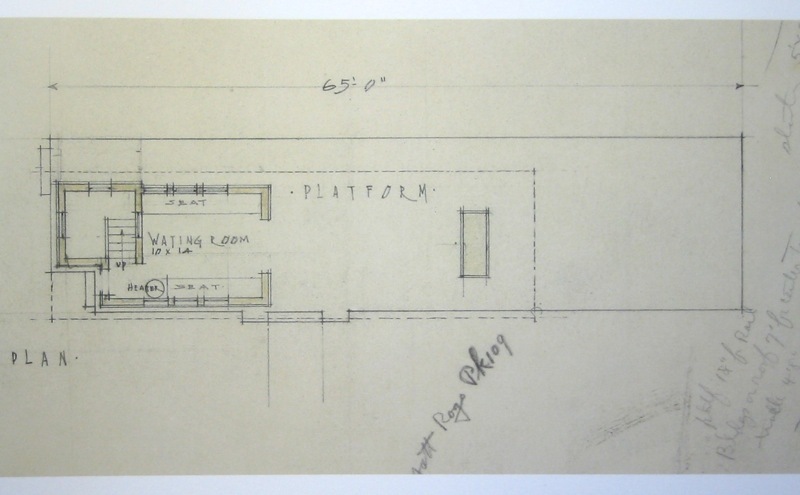 Here is the discussion on the Waiting Station as it appears in the 9/18/2014 Village Board meeting minutes: "Manager Kiraly reported that he received a request from the Glencoe Historical Society to reconstruct a Frank Lloyd Wright Waiting Station, which had been planned to do so in the past but was not completed due to funding. 2015 marks the Centennial Celebration of the Frank Lloyd Wright Ravine Bluffs Subdivision, which the Glencoe Historical Society is commemorating with several events throughout the year. Manager Kiraly called upon Ed Goodale of the Glencoe Historical Society to further brief the Board on the Waiting Station reconstruction proposal. Mr. Goodale addressed the Board and shared that in 1914, Glencoe attorney Sherman Booth commissioned Frank Lloyd Wright to build a community of seven homes and the prairie-style waiting station, which was in operation until the 1950s when the North Shore Electric line seized operations, at which point the waiting station was demolished. A reproduction was proposed several years ago and was supported by the Ravine Bluffs homeowners, but the builder went out of business and the project was not completed. Mr. Goodale reported that for the Ravine Bluffs Centennial Celebration, the Glencoe Historical Society has sought and received the support of the Village, Library, Park District and Chamber of Commerce. The kickoff event will be a program at the Glencoe Public Library on September 28th at 5:00 p.m. At this event, a presentation on the history of the development and Sherman Booth will be made as well as a display of the public art program which will feature scale models of the Ravine Bluff Monument structures. 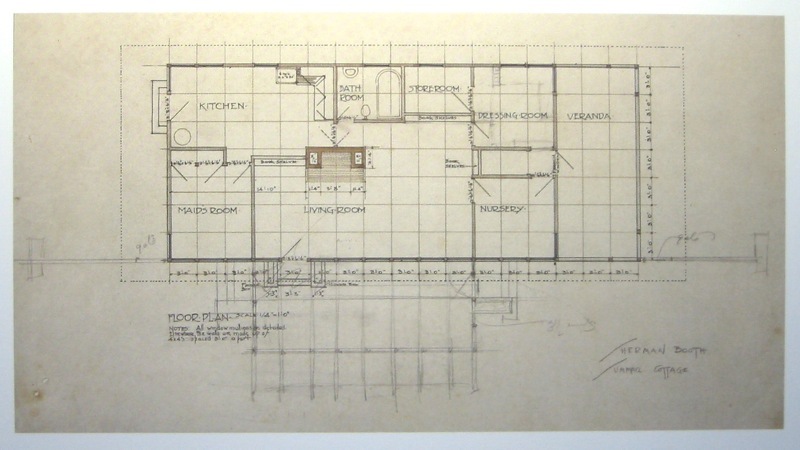 The culminating event of the Centennial Celebration will be a house walk featuring a number of Frank Lloyd Wright homes in the Village in September 2015. 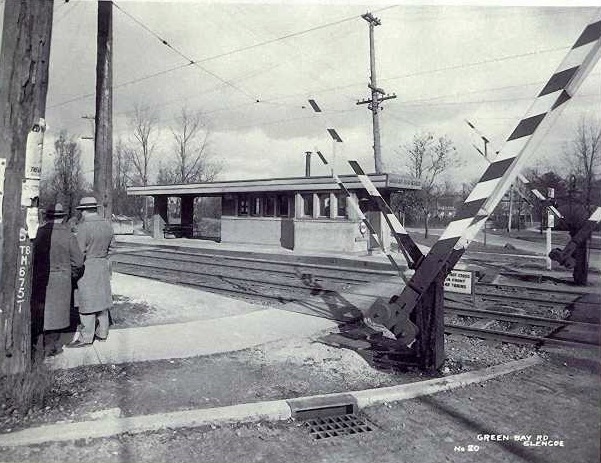 Mr. Goodale added that as the Glencoe Historical Society discussed a project to commemorate the Centennial year, the reconstruction of the Waiting Station was agreed upon. He added that the Historical Society is not asking the Board to vote on anything at this time, they are simply opening the dialogue to help the Board be aware of the project as it moves forward with planning. Trustee Miller asked about the scale of the Waiting Station, Mr. Goodale replied that it is around 100-150 square feet. Trustee Cowans asked about the exact location relative to the Green Bay Trail and Maple Hill Road, Mr. Goodale replied that it would sit on the east side of trail. Manager Kiraly added that Village staff will work with the Glencoe Historical Society on the exact details before the Board is asked to make a decision on moving forward. Trustee Cowans asked if there are photos of the original structure that can be shared with the Board." "On the east side of the trail" puts the intended location further from the RR right-of-way than the original site -- on the other side of a jogging trail. So, the waiting station becomes a pavilion, no longer associated with its original function and removed from its original location ? Those proposing construction would first have to decide which version of the design to build, as the photos do not agree with Wright's plan. Virtually every opening on the visible facades is at variance with those on the drawings; even the support pier(s) at the open area are not as drawn. Do elevation drawings exist ? Can earlier photos be found ? Was there a full-height observation tower ? If not, what was the intended purpose of stairs shown on the plan ? As I have it, the Buffalo boathouse (now called the Fontana Boathouse ?) has received only lukewarm acceptance, at best, by the Wright community . . . for what that may be worth. SDR, there were a number of designs. Initially a tower of sorts was to be included in the design to watch for trains and operating the gates at the adjacent road. 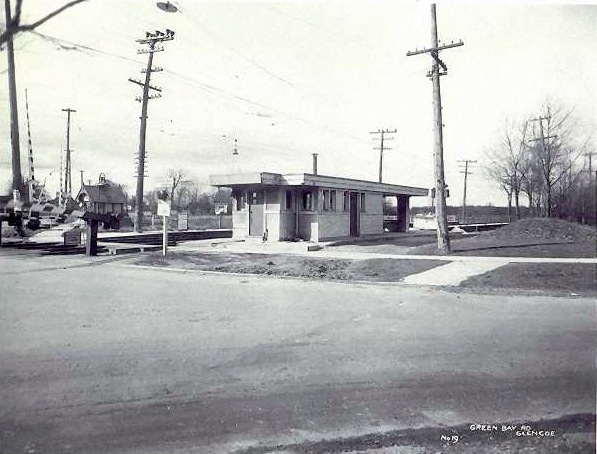 Wright then redesigned the station without the tower, but including a ticket booth. the current reconstruction plans are consistent with the photos. Its interesting that there is a one-half semi-circular council ring nearby, leading me to believe that Jens Jensen was involved.